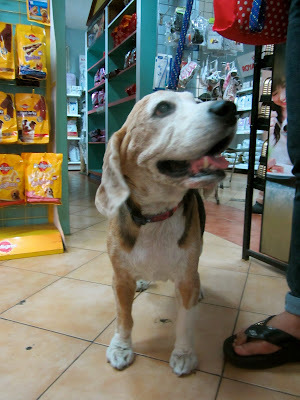 We met Cookie - a 10 year old Beagle while we were at the Vet. Cookie's humans liked me so much because I look like Cookie. Daddy remarked that Cookie was fit and not a fatty like me ( boo! ). Apparently - Cookie was overweight before and they just tried to manage his diet. He is fed frequently but in small servings ( I think I'm ok with that ). 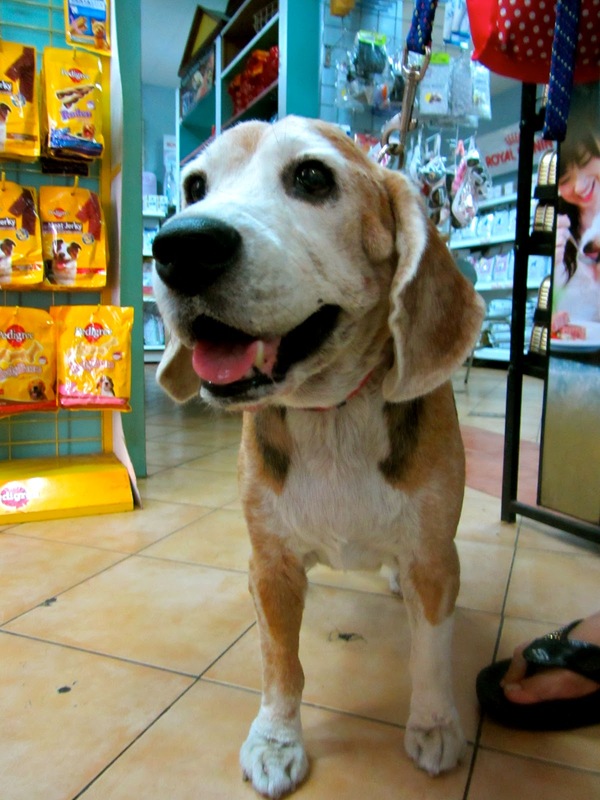 I wish I can be a really healthy and youthful beagle even when I turn 10. I also wish I can meet Cookie another time. 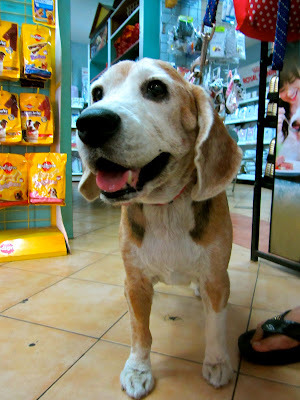 He is a great beagle. Awe, what a cutie! I hope I look that good when I'm 10 too!